Never have I thought that a lost bunch of keys and an EZ link card would lead me to an eating place worth mentioning. D was supposed to pass me what I have misplaced in his bag and so he suggested Ayam Penyet Ria for lunch. 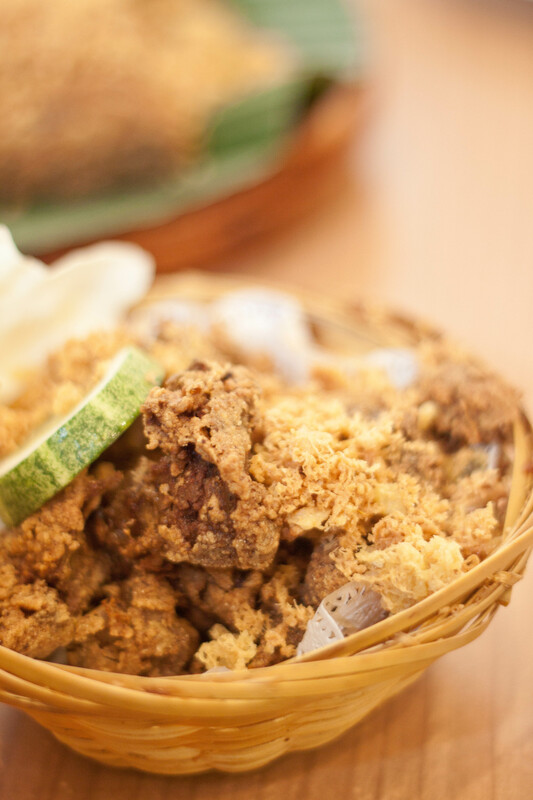 Ayam Penyet which loosely translates into smashed fried chicken is a popular Indonesian dish. The bird(dead of course!) is prepared by lightly smashing it using a pestle and mortar so as to loosen the flesh from the bones. Spices ranging from garlic, tumeric, ginger and candlenuts are thrown in the mix to give it a delectable aroma and taste. 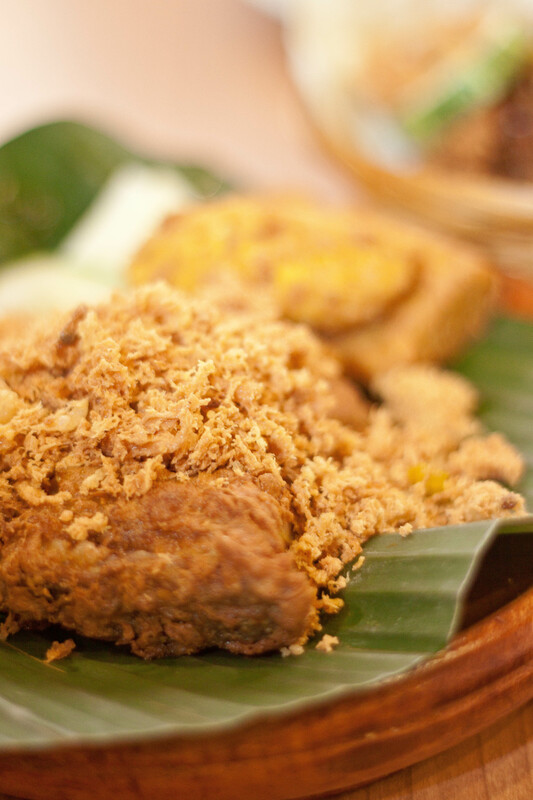 This dish is served with a dollop of sambal balachan and usually accompanied with deep fried beancurd and soybean cake. The Ayam Penyet ($6.90) was very crispy and the crumbs that peppered my serving made it irresistible. The flesh of the chicken was juicy and it was easily separated from the bones. What a joy to eat! Both the soybean cake and deep fried bean curd were crispy on the outside and soft in the inside. Hati Ayam ($2.50) which means chicken liver was yet another fried item. I was reluctant to get this at first but finally relented because D was harassing me to get it. Thank goodness I made the right decision. If you love liver, you will definitely love this. Never mind the calories, exercise can wait, good food cannot! We got this as a free item because we ordered a set meal. 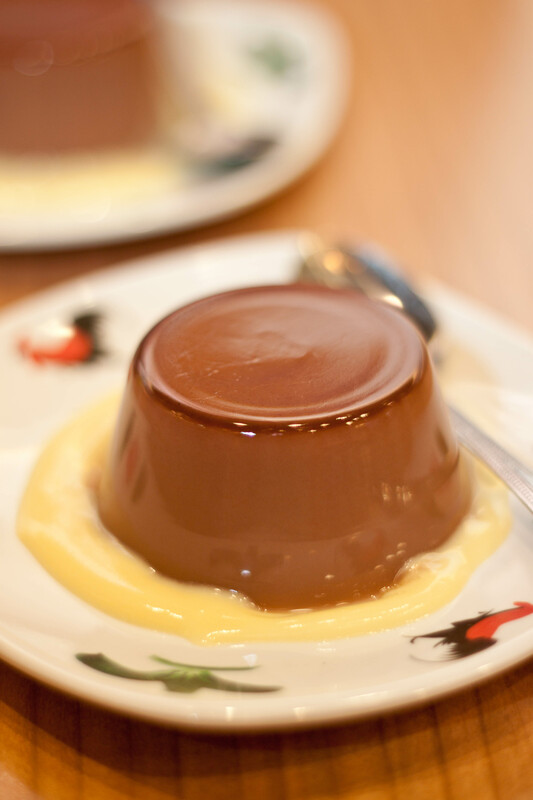 When people say things that are FOC aren’t good, you better believe them because this was one of the worst tasting chocolate pudding I have ever come across. It wasn’t a pudding, it was more of a chocolate jelly, which in my opinion was less than desirable. A calorie laden meal. Sinful but definitely enjoyable. Time to pound the asphalt soon! One more thing, E is definitely more patient than D when it comes to food photography!